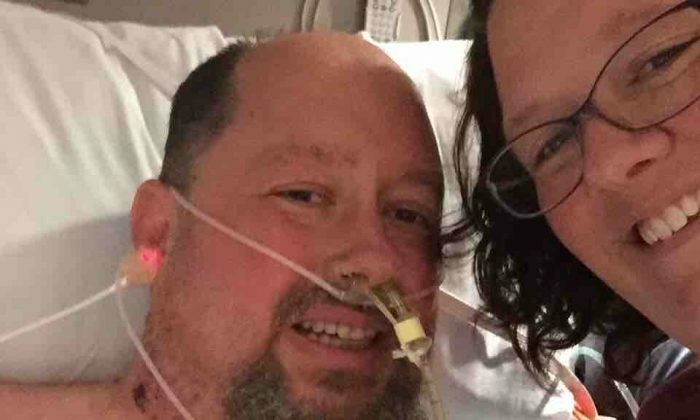 An avid hunter in Texas has gotten both feet and nine of his fingers amputated after going into septic shock following a battle with pneumonia. Brian Herndon had a low-grade fever on Jan. 3. The next day, when it was running higher, his wife Jaye Herndon rushed him to the hospital, where he received a pneumonia diagnosis. The next day, pneumonia had combined with the flu and led to the Fort Worth man going into septic shock. Herndon developed a condition called intravascular coagulopathy, which causes blood clots to form throughout the body’s small blood vessels, according to the National Institute of Health. “These blood clots can reduce or block blood flow through the blood vessels, which can damage the body’s organs,” it stated. Two weeks later, doctors at Baylor University Medical Center had to remove both of Herndon’s feet and nine of his fingers, reported the Fort Worth Star-Telegram. The family is already looking forward and determined to have Herndon experience life as fully as possible, especially his love of hunting. According to the family’s GoFundMe page, Brian will also need prosthetics for both legs.